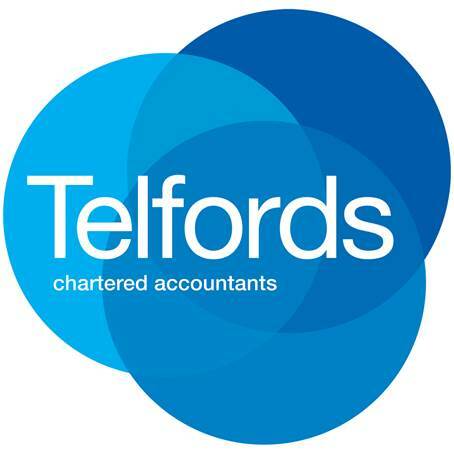 With Telfords Chartered Accountants, we’ve been helping small businesses for many years so you can rest easy knowing your books are in safe hands. We understand that no two businesses are the same and one size won’t fit all. That’s why all our services are tailored and personalised to suit you, your business and your unique situation. We get to know you personally so we can provide relevant, accurate advice that helps you reach your goals. No matter your business type (sole trader, partnership, trust or company) or business stage (startup, growth, consolidation or exit), we can help you get to where you want to be. We’re big believers in cloud technology and only partner with businesses who use Xero accounting software. Xero gives you access to work from anywhere, anytime, on any device! It’s up-to-date, secure, and allows you to work collaboratively with your accountant. With real-time financial data at your fingertips, you’ll be better off. You get access to up-to-date information which enables for better planning, better decisions and better processes. As Xero Silver Partners, we’re experts in helping businesses get the most out of the software. If you use Xero, or are thinking of making the switch, talk to us. Telfords Chartered Accountants can help with everything from standard compliance work right through to developing a detailed business strategy. We keep abreast of government changes, tax updates, and any amendments that will impact your business so that you don’t have to worry. We’ll ensure your business accounts are fully compliant, up-to-date and accurate so you’ll avoid any nasty surprises. The Telfords Accountants team can prepare end of year financial accounting statements for all types of businesses (sole traders, partnerships, trusts or companies). Our business experience and expertise gained working in high level finance positions means we can provide real value to assist business owners with budgeting, cashflow, reporting, benchmarking, strategic planning and succession planning, among others. Contact us today if you would like your accounting handled by professionals who understand your business. Compliance is just one part of what we do at Telfords Accountants. We make sure your accounts are complete, accurate and meet strict government requirements. A great accountant should work with you to reduce your tax bill and seek to improve your bottom line. Through our expert tax minimisation strategies we’ll thoroughly analyse your business to make sure you don’t pay more tax than you owe. We work hard to legally reduce your tax bill through expert tax planning and we’ll advise you if there are credits available for your business. We also offer guidance and advice on the tax impact of business investments and structures. We know that many people find trusts complex and confusing, but we have a wealth of experience in this area. We can advise you on the most suitable trust structure for your situation and goals, help you set up the trust, and we can provide ongoing accounting services to manage the trust effectively. VAT compliance is not always an easy process. Compliance requirements, regularly changing regulations and HMRC demands often cause business owners a lot of stress. At Telford Associates, we stay on top of all these changes and we’ll make sure you’re aware of any issue that impacts you. We’ll ensure you meet government requirements and avoid overpayments. We understand the ups and downs of running a business and we’re also up to date on the latest reporting obligations and penalties for non-compliance. This puts us in the perfect position to assist business owners with the preparation of corporation tax returns. We’ll prepare them accurately, completely, and efficiently and also analyse your tax liability. You don’t want to risk the harsh penalties handed down for failing to comply with strict government requirements. Being the subject of an investigation by HMRC can be a stressful experience. We have the expertise to deal with HMRC enquiries, no matter the issue. As your business partner, we’ll be there for you during that time by providing regular communication and updates, a simple explanation of any issues and expert advice so you won’t have to worry. Get in touch with us today if you would like to avoid a stressful tax time.